Dublin is famous for its pubs; easily the most famous pub is The Temple Bar attracting 3.5 million visitors annually. You’ve probably heard of the bar or at least The Temple Bar Area. 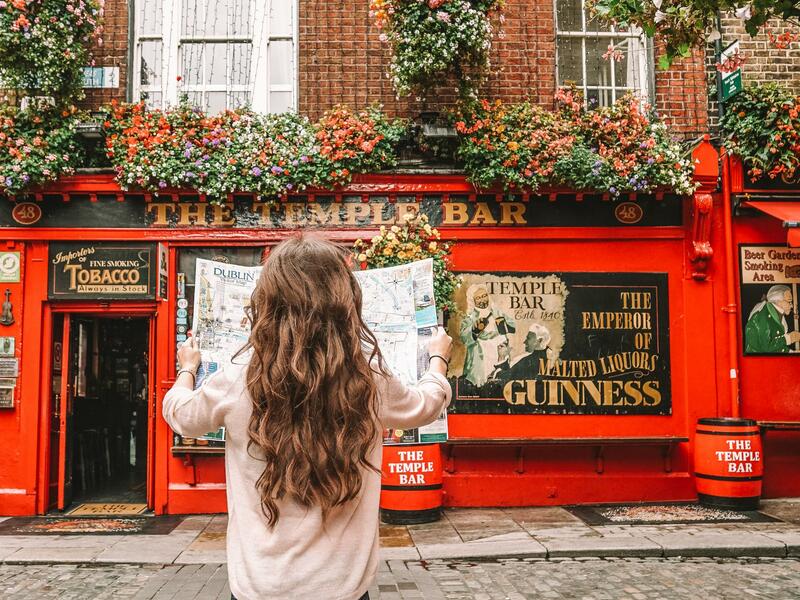 The Temple Bar, established in 1840, houses all types of alcohol including beer, liquor, and over 450 different kinds of rare whiskeys making this Ireland’s largest whiskey collection. Due to the popularity surrounding The Temple Bar, determining the best times to go can be tricky if you want to get a good seat (especially if you want a view of the live band).